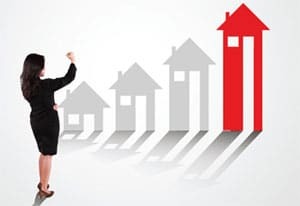 Home · Property Management · Latest News : Which Features Boost Home Sale Prices? Which Features Boost Home Sale Prices? For their 2018 Home Features That Sell analysis, Zillow examined listing descriptions for nearly four million homes nationwide that sold between January 2016 and December 2017. The goal was to discover what features—or even just descriptions of features—had the biggest impact on the final sale price of the home. Steam showers were the premium feature that earned the biggest price bump for homes during the examined period, but they certainly weren’t the only one. “Professional appliance” came in second, also earning a 29 percent average price increase. In third place, “pizza oven” resulted in a 25 percent increase. For homes priced in the top third of the market, a “sub-zero fridge” can earn a seller an extra 38 percent premium. The effect of these extra amenities also varies depending on the price range of the home being sold. A steam shower might be top-tier for pricier homes, but among homes priced in the lower third of all listings, “solar panel” was the top earner, generating a 40 percent increase over other starter homes that didn’t include them. For mid-level listings, mentioning a “shed/garage studio” can help generate a 24 percent price bump. For sellers looking to turn the house around quickly, rather than merely generating the highest sales price possible, mentioning “exposed brick” typically sold two weeks faster than those without the feature. Terms such as “open shelving,” “dual flush,” and “mid-century” also sped up the sales process for homes including those features during the examined time period. “While everyone has different style preferences, when it’s time to sell, being specific and strategic with your home’s listing description can have a big financial payoff,” says Jeremy Wacksman, Zillow’s CMO. Remodeling Magazine recently conducted a study to determine which home renovation projects retained the most value during resale. Garage doors topped that list, recouping an average 98.3 percent of cost at resale. Rounding out the top five below that were manufactured stone veneers, entry door replacements (steel), deck additions (wood), and minor kitchen remodels. As for the Zillow report, it also reveals that advertising a “pet shower” can earn sellers an extra 25 percent. Extra money and clean pets—it’s win-win.